Dr. Kanungo is a Professor of Physics at Saint Mary’s University, Halifax, with prior work experience in Japan and Germany. Her research area is in experimental subatomic physics, with a specialization in reaction spectroscopy of rare isotopes. She is an active researcher at TRIUMF, where she has been leading CFI projects for facilities aimed for such experiments. In addition, she has research programs in other international facilities, namely GSI in Germany, RIKEN in Japan and NSCL in USA that build on strong international collaborations. She has authored many peer reviewed research articles. Her research expertise is recognized through a number of invited talks among which is the honorable invitation to speak at the Nobel Symposium. 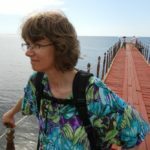 She has been the recipient of the Alexander von Humboldt fellowship and the GSI Exotic Nuclei Community award. She was also awarded the NSERC Discovery Accelerator Supplement and, in 2018, the CAP-TRIUMF Vogt Medal for Outstanding Achievement in Subatomic Physics. She hosted and chaired the international conference DREB 2016 in Halifax. She is currently the President of the Canadian Institute of Nuclear Physics and the Chair of the CAP-NSERC Liaison Committee. She has also served on the Policy and Planning Advisory Committee of TRIUMF. Dr. Eric Poisson is a professor of physics in the Department of Physics at the University of Guelph. His field of research is gravitational physics, with a focus on black holes and gravitational waves. He obtained his BSc from Laval University, and then went to graduate school at the University of Alberta. He then spent three years as a postdoctoral fellow at the California Institute of Technology, in Pasadena. Before coming to Guelph he spent a year at Washington University in St. Louis. In 2005 he was awarded the Herzberg Medal by the Canadian Association of Physicists, for outstanding achievement by a physicist aged 40 or less. In 2008 he was elected Fellow of the American Physical Society, “for important contributions to the theory of gravitational radiation from compact bodies orbiting black holes, to the theory of back-reaction of the emitted radiation on their motions, and to understanding the implications for gravitational-wave detection.’’ He currently serves as President of the International Society on General Relativity and Gravitation, for the three-year term 2016–2019. Prof. St-Maurice has been a full Professor of Physics and Engineering Physics, and a Tier 1 Canada Research Chair in Environment Sciences at the University of Saskatchewan, Saskatoon since 2004. In 2009, he became Chair of the Institute of Space and Atmospheric Studies at the University of Saskatchewan. He was previously a full Professor of Physics and Astronomy at the University of Western Ontario for 17 years. Prof. St-Maurice is one of two Principal investigators for the five Canadian SuperDARN radars. He is the Deputy Director of a project funded through the Canadian Foundation for Innovation and the provinces of Saskatchewan and Alberta, which was used to build an AMISER incoherent scatter radar in Resolute Bay, Canada. This radar provides Canada with a state-of-the-art tool to study the ionosphere and upper atmosphere. Prof St-Maurice’s research interests include the electrodynamics of ionospheric plasmas, the kinetic theory of gases in the ionosphere, plasma instability and transport theory in natural media and the study of plasma structures in the ionosphere. With his students and numerous collaborators across the world, Prof St- Maurice balances the theoretical aspects of his research with in-depth data studies from satellites and various types of radars. 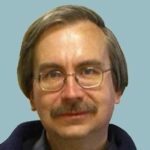 Prof St-Maurice has been a visiting scientist in numerous countries, has served on several boards and committees and is a long-standing member of the Canadian Association of Physicists and of the American Geophysical Union. Dr. Melanie Martin is a Professor of Physics at University of Winnipeg and the Director of the Magnetic Resonance Microscopy Centre. She served on the executive committee of the Division of Physics in Medicine and Biology (2014-2017) as Vice-Chair, Chair, and Past-Chair and on the International Society for Magnetic Resonance in Medicine Student Stipend Committee (2014-2017). Dr. Martin has served on many grant review committees including Canadian Institutes of Health Research (CIHR), and Canada Foundation for Innovation (CFI). 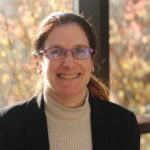 Her research interests include developing magnetic resonance and positron emission tomography imaging techniques for both early detection and treatment efficacy assessments of central nervous system diseases. Her most recent achievement is the development of a method to infer sub-micron sized compartments in samples, for example brain axons. She has received research funding from many sources including NSERC, CIHR, CFI, Alzheimer’s Society of Canada, and Multiple Sclerosis Society of Canada. Karen L. Kavanagh is a Professor of Physics and an Associate Member of the Department of Chemistry and School of Engineering Science at Simon Fraser University. She also directs the 4D Labs Electron Imaging and Holography Facility, which enables hands-on training in electron microscopy techniques. She received her Ph.D. in Materials Science and Engineering in 1987 from Cornell University and then worked for a year at IBM T. J. Watson Research Labs, and Massachusetts Institute of Technology (postdoctoral fellowships), moving to the University of California, San Diego (Dept. of Electrical and Computer Engineering) in 1988, before returning to Canada in 2000 to her current position. She is a Fellow of the UK Institute of Physics and has published over a hundred refereed scientific papers. 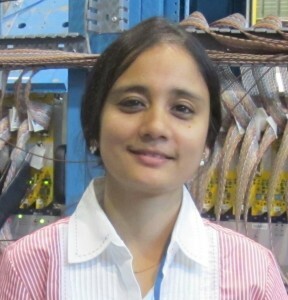 Her research is focused on atomic interfaces and nanostructures with recent interest in nanocontacts, epitaxial electrodeposited metal-semiconductor interfaces, channeling and diffraction using helium ion microscopy, defects in nanowire heterostructures, electron holography, and two-dimensional materials. Dr. Lorne Nelson is professor and chair of the department of Physics & Astronomy at Bishop’s University. His research interests are focused on stellar and high-energy astrophysics as it pertains to white dwarfs, neutron stars, dark matter, and supernova explosions. He received his PhD in astrophysics from Queen’s University and subsequently held postdoctoral fellowships at MIT and CITA (Canadian Institute for Theoretical Astrophysics) where he and his collaborators worked on the theoretical structure and evolution of a new class of substellar objects known as Brown Dwarfs. He has served on CITA Council for several years and on CanTAC, the time allocation committee for the Gemini, JCMT and CFHT telescopes for three years and was the chair of the Galactic Panel in 2012. From 2013 to 2016 he served as a Director of CASCA (Canadian Astronomical Society). 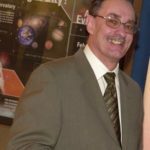 He is currently serving on the management board of ACURA (Association of Canadian Universities for Research in Astronomy) and is a member of the Scientific Committee of the Centre for Research in Astrophysics of Quebec (CRAQ). 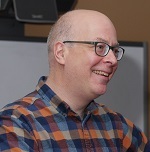 He was awarded a Canada Research Chair in Theoretical Astrophysics and has held other awards such as the Reinhardt Fellowship, Merite Estrien, and the William and Nancy Turner (Chancellor’s) Award for Teaching.